The kit has everything you need to make 3 wonderful projects and a great introduction to crocheting. Make a bunny phone case, a trendy 3 coloured hat and a cute panda eye mask. 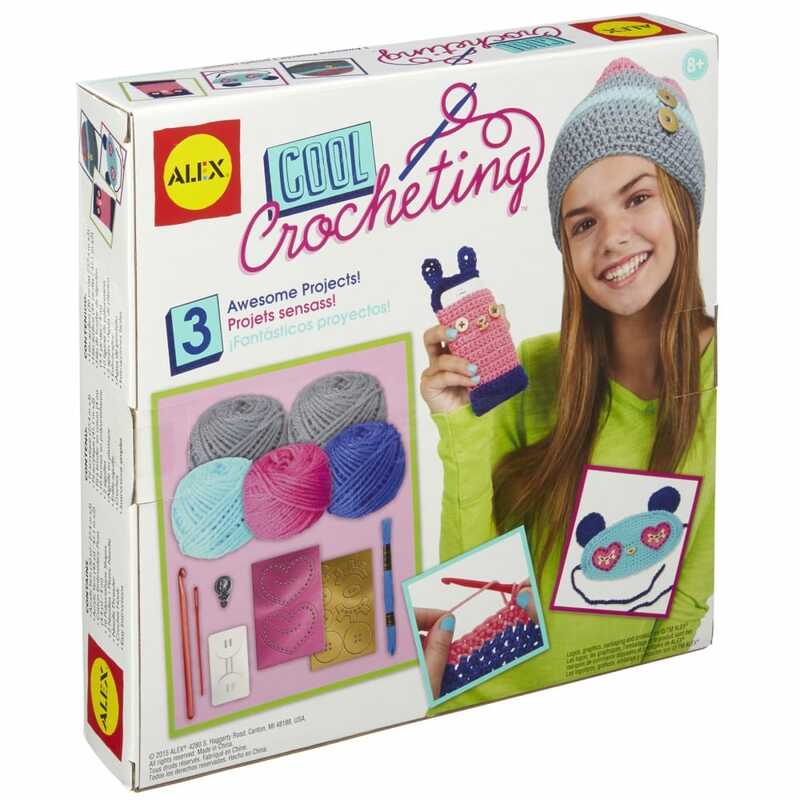 Contents: 4 colours of yarn, crochet hook, plastic needle, needle threader, embroidery needles, embroidery cotton, 10 faux leather shapes and instruction booklet.